AltoBlue Music would like to Congratulate BlaqSpaceDNA for winning the " Akademia Music Award" for his hit single "L.I.E.S." from his forthcoming album titled "Bra Strap's n Galaxy Tripp'n"
"Bra Strap's n Galaxy Tripp'n" a nuelectroghettofunksoundwave of cosmic soul!!! Download the Akademia Music Award winning single today "L.I.E.S." reawakening of mind, body and soul experience called "Spoken Medicine". Download Spoken Medicine's Mind & Soul relaxing single "Yin and Yang"Today!!! In the chi of Life project was created & designed to transform the mindstate through meditated next world sounds traveling in & out of time to defy gravity! A new musical project that speaks to the heart n soul taking you on a journey inside of pure creativity & vibrational Healing!!! 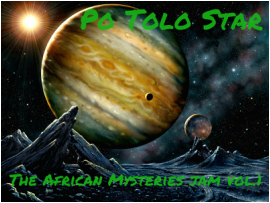 Po Tolo Star an indigenous brotherhood of futuristic funkanauts giving you nothing but the raw uncut psychedelic reggae cosmic hip hop funk!